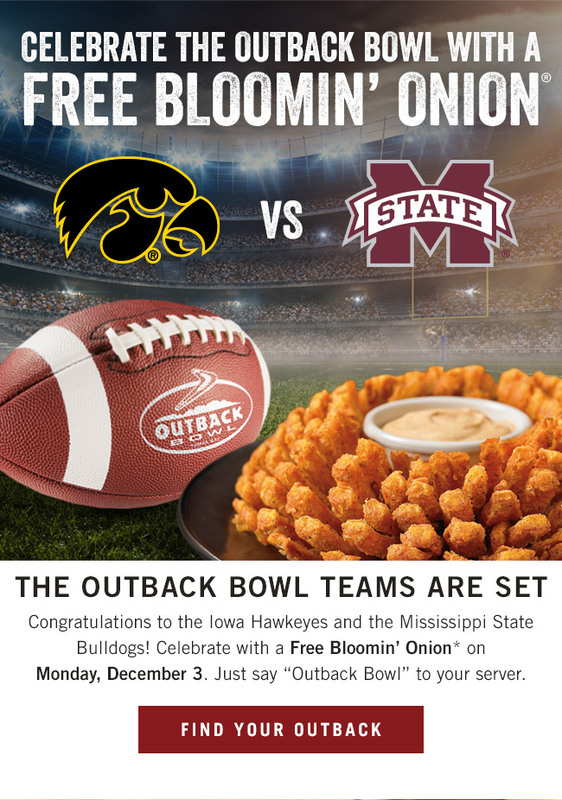 CELEBRATE THE OUTBACK BOWL WITH A FREE BLOOMIN’ ONION! Home/All/CELEBRATE THE OUTBACK BOWL WITH A FREE BLOOMIN’ ONION! *Free Bloomin’ Onion® offer valid with any purchase on 12/3/2018 only. One per table. Offer subject to change. 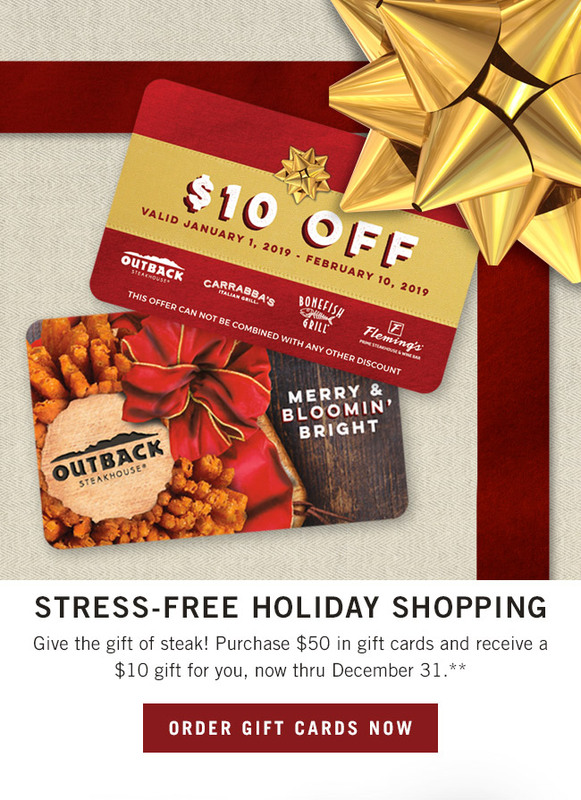 Say “Outback Bowl” to your server to receive the offer. 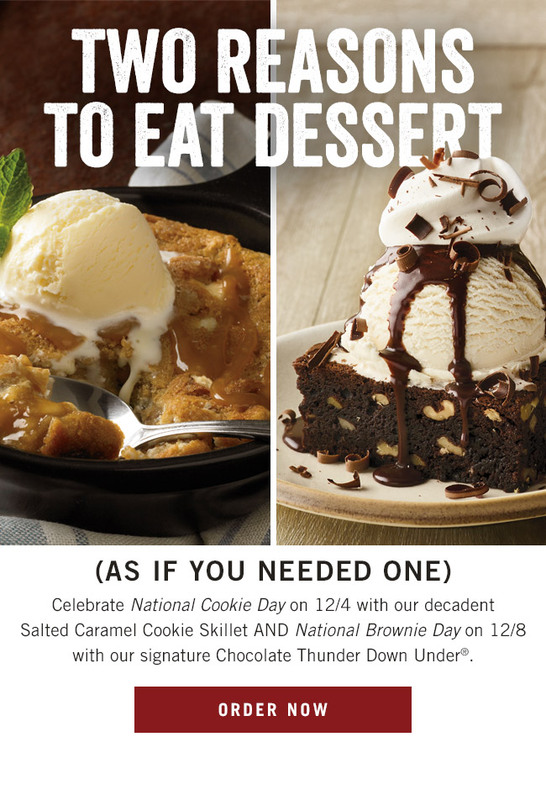 Not valid with any other offer, discount, or certificate including any Dine Rewards™ redemption or AARP® Membership Discount. 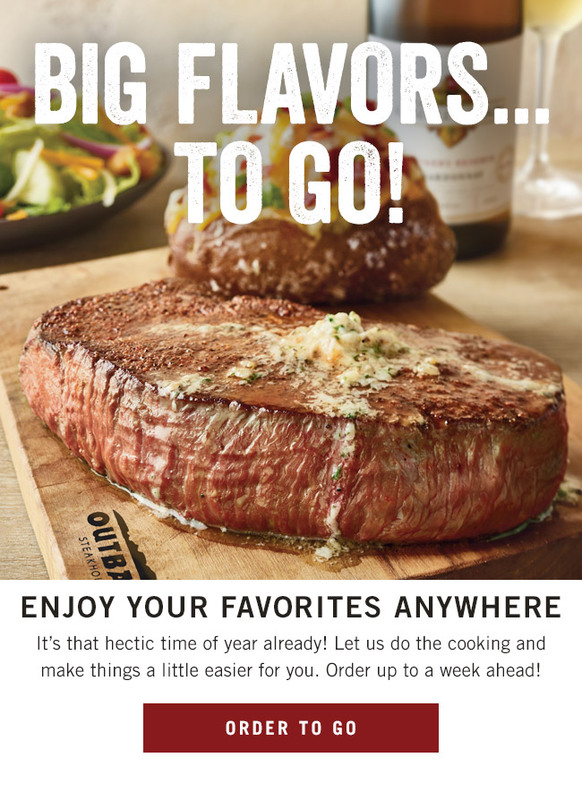 By Buddy|2018-12-03T06:40:27-04:00December 3rd, 2018|All|Comments Off on CELEBRATE THE OUTBACK BOWL WITH A FREE BLOOMIN’ ONION!